In this article, we'll learn more about hold out testing and how test results are calculated. Important: Hold out tests compare the value of a single customer in the Active group against the value of a single customer in the Holdout group. Unlike our normal influence based attribution model, revenue tracking in the Active group does not distinguish between customers who convert outside of Rejoiner campaigns vs. customers who open or click Rejoiner emails. 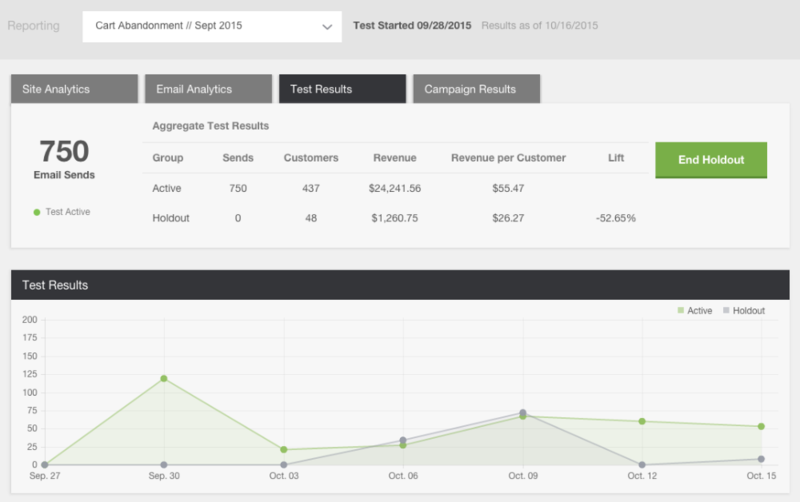 All revenue generated by customers in the Active group is tallied, regardless of their engagement with emails. Sends: The total of number of emails sent to the Active group. The Holdout group will always receive 0 emails.